I made this nearly every Friday during Lent and my whole family loves it. 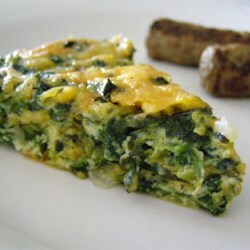 Sometimes I would vary it a little, using fresh spinach, adding mushrooms or green peppers or an extra egg. I always doubled the pepper and used fresh cracked. This is a fantastic recipe and very versatile.